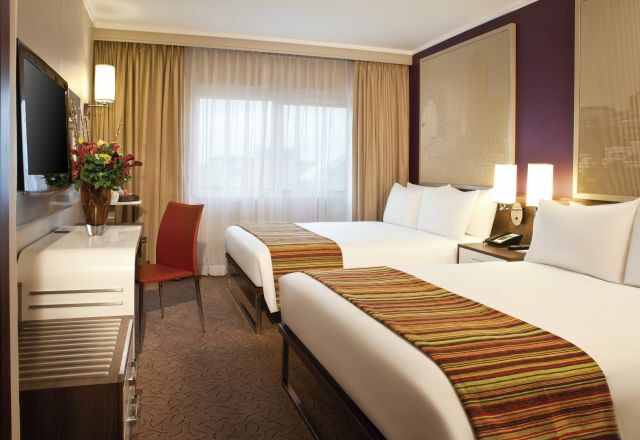 Garden Court Sandton City offers guests comfortable hotel accommodation with a choice of 444 attractive well-appointed en-suite rooms, furnished in a style that is clean, contemporary and affordable with an emphasis on easy living. 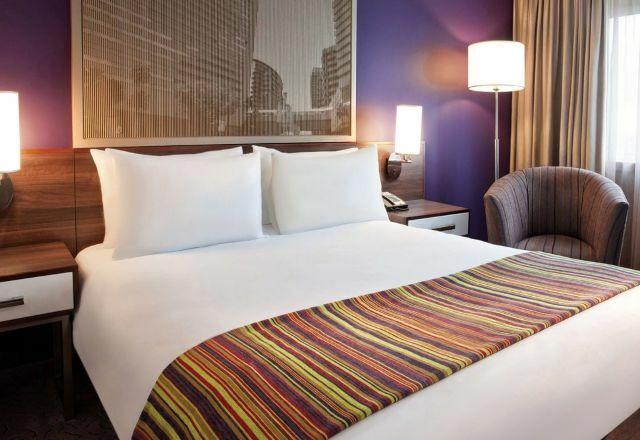 Our accommodation includes a number of amenities to enhance the comfort and enjoyment of your stay in Sandton. Rooms are equipped with air conditioning, free WiFi, flat screen television with DStv channels and in-room tea and coffee facilities, among others. Guests can also enjoy the convenience of 18-hour room service, a porter service, and a wake-up call facility. Rewards members enjoy 5% discount on accommodation. Standard rooms have one queen bed or two double beds, plus en-suite bathroom with either a shower or a separate shower and bath. Family rooms have two double beds, plus en-suite bathroom with either a shower or a separate shower and bath.